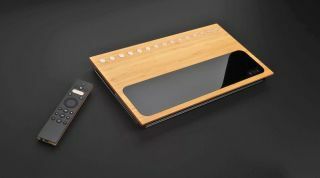 Caavo set-top box can control eight devices at once | What Hi-Fi? The Caavo, made by the people behind the Slingbox, wants to be a universal remote, complete with a universal search, for all your TV devices and services, including Amazon Prime Video and Netflix. What with the huge variety of boxes capable of delivering TV services to your telly, you could be forgiven for being a little confused when it comes to controlling them. Thankfully, help could be at hand in the form of Caavo, a new box that lets you control all your services from one place. It can control up to eight devices at once, allowing you to flick between them - and search across them all at once, without opening each app in turn. It supports voice control too, Engadget reports, so you can search for a show just by saying its name. You can also specify which device you'd like to play said show through, if it's available on more than one. So you can start The Grand Tour using your Amazon Fire TV, for instance, or watch Stranger Things through your smart TV's Netflix app. It picks up where you left off when watching a show, and you only need use one remote to access all your devices. Gamer? Power on your PS4 controller and Caavo will realise and automatically switch over to that console. Amazon Alexa integration is built-in, as is 4K support (but not HDR, yet - HDR 10 support is coming, according to the developers). It's the brainchild of some of the same people behind the Slingbox, which was one of the first devices to allow TV viewing from a remote location. However, $300 (£240) is a lot to pay for a bit of convenience, so it's for serious home cinema addicts only. But as you can see, it's certainly a looker, thanks to its removable wooden top. Pre-orders will start in May, with the device shipping later this year. Next year, a smaller, cheaper model will also launch, that could have more mainstream appeal.